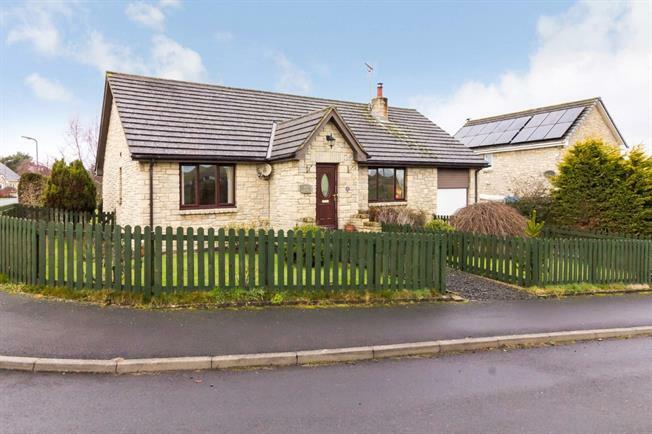 2 Bedroom Detached Bungalow For Sale in Newcastle upon Tyne for Offers in excess of £250,000. This superb family home has the following impressive accommodation, entrance porch, lounge/dining room, breakfast kitchen, conservatory, two bedrooms, master with en-suite and the family bathroom. Externally there is an attached garage, superb extensive mature gardens. Double glazed door to front, coving to ceiling, wood flooring, radiator, door to lounge. Double glazed window to front, coving to ceiling, multi fuel burning stove with stone surround and slate hearth, television point, two telephone points, wood flooring, radiator. Double doors to conservatory, door to garage, spotlights to ceiling, coving to ceiling, fitted wall and base units, work surfaces, Belfast sink unit, space for American style fridge freezer, dishwasher and washing machine, radiator, tiled walls, tiled floor, under floor heating. Door to side, double glazed windows to rear and side, exposed stone wall, power points, tiled floor. Access to loft space which is fully boarded for storage with lighting and power points, coving to ceiling, doors to two bedrooms and family bathroom. Double glazed window to front, coving to ceiling, television point, radiator, door to en-suite. Double glazed window to side, coving to ceiling, spotlights to ceiling, shower cubicle, pedestal wash hand basin, low level WC, shaver point, tiled walls, radiator. Double glazed window to rear, coving to ceiling, television point, radiator. Double glazed window to rear, extractor fan, coving to ceiling, spotlights to ceiling, double ended Jacuzzi bath, shower cubicle, wall hung wash hand basin set into vanity unit with wall mounted mirror and lighting, low level WC, tiled walls, chrome towel ladder radiator. Attached, electric door, lighting and power points, cold water tap. Fenced boundaries, extensive garden to rear which is very well maintained and has an array of well established shrubs and trees.